Sigstr unlocks employee email, like Gmail and Outlook, as an owned channel by providing simple, central control over your company's email signature. The SaaS product drives brand compliance and delivers real marketing ROI. Sigstr customers, like Angie's List, ReturnPath, Indiana Pacers, and California Closets, among others, use clickable call-to-action banners to bring awareness and encourage engagement for key events, case studies, product updates, job opportunities and internal communication. Sigstr is a High Alpha portfolio company. At Sigstr, we love onboarding new customers and making them look like rockstars. In this post, we talk through that process and what customers can expect. Sigstr announced today that it has achieved Amazon Web Services (AWS) Digital Customer Experience Competency status. Learn more in this press release. Edison Partners said Sept. 18 that it led a $4 million round for Sigstr. 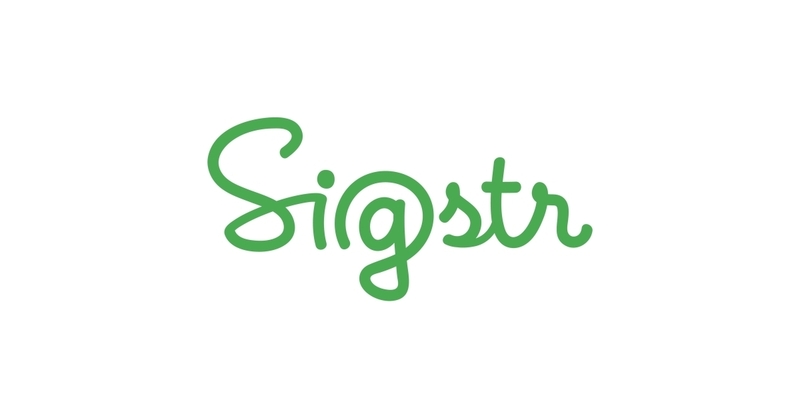 Sigstr, of Indianapolis, provides a SaaS platform for employee email signature marketing. Sigstr, a SaaS platform for employee email signature marketing and relationship intelligence, announces significant new growth milestones. Why Nudge.ai? Reach out to the decision makers at Sigstr with a personalized email - let them know that you found their recent news mention interesting. Nudge.ai’s relationship intelligence platform can help you find the right executive to reach out to at Sigstr, such as Brad Beutler, Director of Marketing, or Sam Smith, Vice President Product. Then get in touch and start a conversation. Executives can be difficult to reach, but every company has connectors who bring together people and ideas. At Sigstr, people like Brad Beutler, and Bailey Roberts are likely connectors. When Sigstr is mentioned in the news, Nudge.ai often sees topics like Marketing, and Social Media. If your conversation focuses on these topics, you’ll probably get Sigstr’s attention. When Sigstr is mentioned in the news, companies such as Hubspot, Netprospex, and Uberflip are often also mentioned. These companies can serve as customer examples. Employees who are often in the news are usually open to starting conversations or exploring ideas. Nudge.ai's sales AI saw Bryan Wade, Dan Hanrahan, and Emma Jensen from Sigstr recently mentioned in the news. Bryan Wade, CEO at Sigstr, joins me on this episode of #Accelerate! Considerations for marketers and CX professionals using eye-tracking and facial-recognition software. Who in your network can introduce you to Sigstr? Nudge.ai finds the best pathway to reach contacts at this company.